This Prizm RGB case fan comes in the 140mm form-factor, and features a dual-ring aperture design, which allows you to display RGB effects on both sides of the assembly. 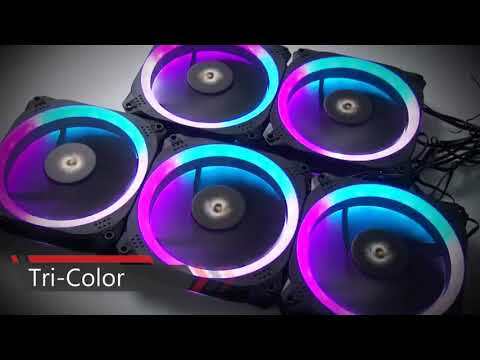 RGB LEDs light up the fans in uniform colour and brightness. Enjoy customised RGB colours and effects through compatibility with top-end motherboard manufacturers. Shock absorbing rubber pads at all corners protects the fan and reduces vibration noise between the fan and the chassis. Features • 120mm PWM Fan. 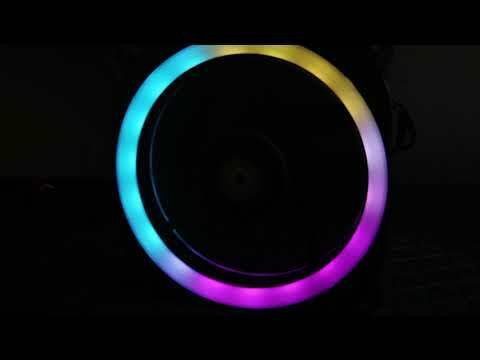 • 7 Colour RGB LEDs.